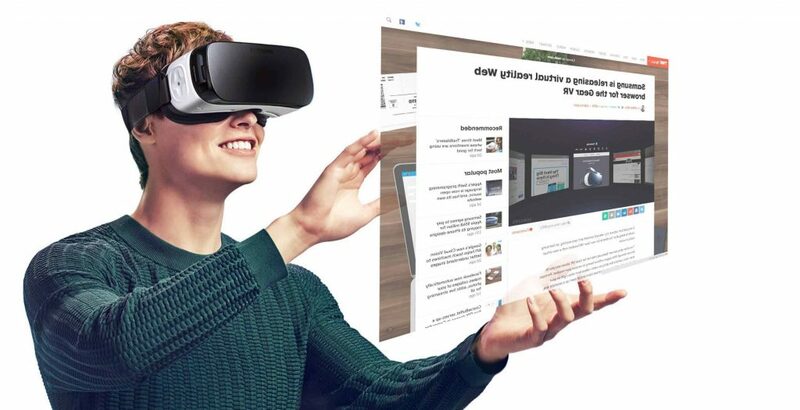 When virtual reality gets mentioned in digital marketing, brands and companies tend to shy away from this topic as this technology is still in the distant future. That being said, virtual reality is gradually becoming increasingly important. It enables marketers to give customers the closest experience they can get of a product, service, or place without physically being there. This level of engagement and awareness impacts consumers more than traditional media because it creates strong emotions and memories that have been linked to real behaviour change. Virtual reality is a three-dimensional image or artificial environment that’s created with mixtures of interactive hardware and software, and presented to the user as a real environment which can be interacted with in a real or physical way. That’s doesn’t even sound like the language we speak right? In simple terms, it makes it possible to experience anything, anytime, anywhere with the aim to achieve total immersion for the best experience. Imagine if your business has a hands-on product or service, the implementation of virtual reality brings immense benefit as the interactive aspect of VR bridges the gap to provide your potential consumers with a deeper insight and a more hands-on experience on what the business is trying to market. Using these virtual communication devices you can remove the distance and time barriers of the people that you are communicating with. Your friend could be in Vancouver and you in Wellington but with VR technology you can both be in the same room at the same time regardless of timezones. With VR technology, companies take less time to understand their client’s needs or demands. Creating teh perfect customer avatar can be a very useful tool for understanding the real world demand. In a car company, VR can be used to transfer a potential consumer to the actual interior of a car for a more accurate representation and experience. In short, this removes distance and time barriers, enabling businesses to work in an efficient manner. The more a business is able to treat their client to a better experience, a higher possibility of retaining them. Most customers like to be treated with importance, by giving customers the chance to have an insight and experience of a company’s operations and productions, companies will be able to leverage from that to boost client-business relationship. Notable Australian Brands such as Qantas Airlines will soon be able to implement VR to provide consumers with a more immersive experience by creating a virtual reality of a plane. The consumer is able to clearly visualise the interior of the flight, providing a better perspective in picking the most desirable seat, along with picking the most appropriate options. This is only a small snippet of the immense benefits virtual reality can bring for businesses. If you’re looking for an agency that takes the steps to be innovative, look no further than Be Media. Contact us and speak to our team today.